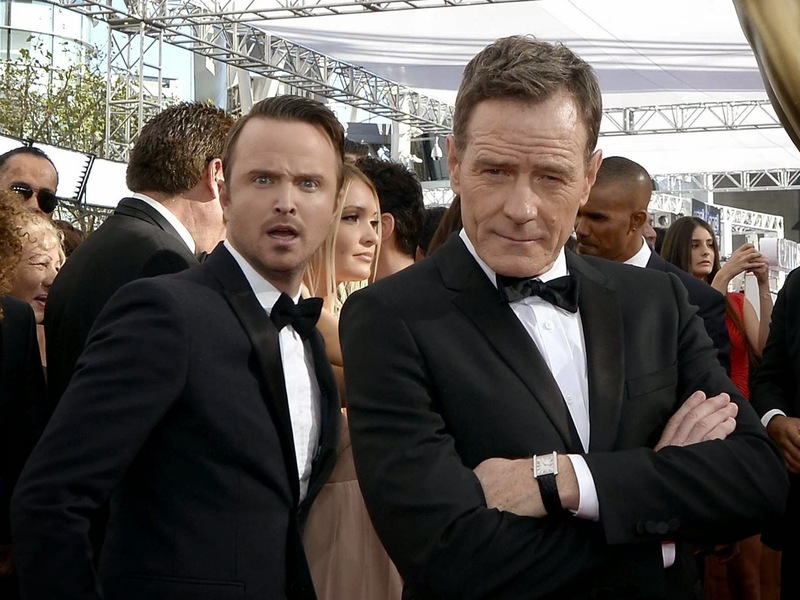 Aaron Paul And Bryan Cranston Rumored To Appear In "Breaking Bad" Spinoff, "Better Call Saul"
Not quite ready to forget about our favorite meth head, Jesse Pinkman, sources have told E! News that Aaron Paul may reprise his role as the lovable sidekick for AMC's "Breaking Bad" spinoff, "Better Call Saul!" Sure to please fans across the nation, the 34-year-old funny man is currently in talks to return to his role as Jesse for the show when it releases in November, 2014. Production begins in May, and casting will begin shortly, but a source has stated that the series' creative team is already interested in having Aaron return to his role for more than one episode! Another fun tip of the hat to fans of "Breaking Bad" that "Better Call Saul's" team has suggested is that Walter White himself, played by Bryan Cranston, will make a cameo appearance, and he said he is completely for it. Stay linked to GossipCenter as more details about "Better Call Saul" unfold!